a nice article about our beloved vinyl! Vinyl is experiencing an indie resurrection in a world where inhabitants are constantly inundated by blaring digital white-noise, funneled from iPod ear buds. Music has essentially become a product of consumer laziness, and lost in that ‘one-two click convenience' is potential high sound quality -- an idea which true audiophiles mourn. 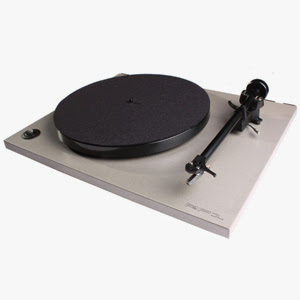 Many are quick to label the resurgence of vinyl as part of the ‘hipster' social movement, but it is much more than just a fleeting trend. It is a rebellion against the convenience and sub-par quality that is coupled with the MP3 files that have become commonplace today. 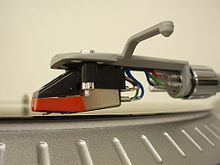 Many are dissuaded from buying vinyl because it demands more attention than that of several thousand songs compiled within an iTunes library. daniel's work is amazing, stop by his site and order for the holidays! The pieces have come down from Mayberry in Pacific Palisades and most are now hanging at the Santa Monica Art Studios at the Santa Monica Airport. They'll be part of the Open Studios event this coming weekend. It's fun being able to make these local connections and attend events! I don't know where it'll lead but I'm hoping with the holidays coming up, people will be looking for thoughtful gifts that show they care and remember. 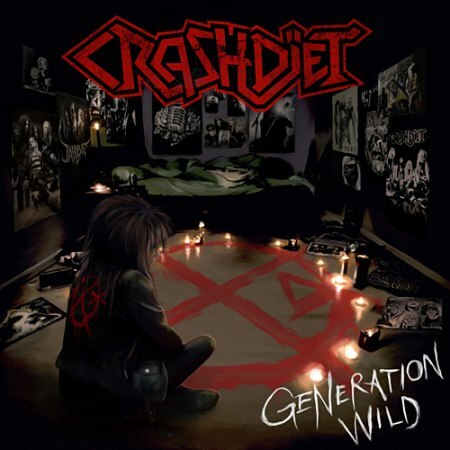 Swedish glam rockers CRASHDIET have recently announced the release of their third album, 'Generation Wild,' on vinyl. This gatefold LP will feature the new bonus track "Hollywood Teaze" as well as some updated artwork. 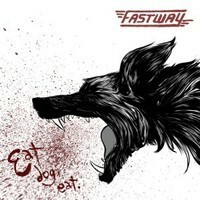 Hard rockers Fastway will release "Eat Dog Eat" on November 11 viaSteamhammer/SPV Records. 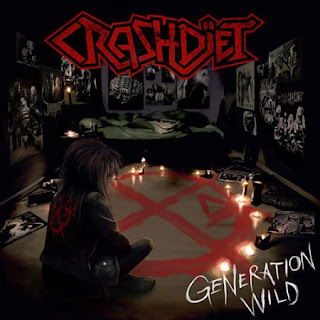 This marks the first Fastway album since the 1990 release "Bad Bad Girls." Ex-Little Angels vocalist Tony Jepson will be featured on the LP. Lee Loughnane is one of the founding members of Chicago, who came together in 1967 and have gone on to become the second most successful American band of all-time after the Beach Boys. Of the seven original members, four remain with the group, including Loughnane who not only has been the band's trumpet player, but also one of its songwriters (Call on Me, No Tell Lover), singers and a key member of their restoration team. 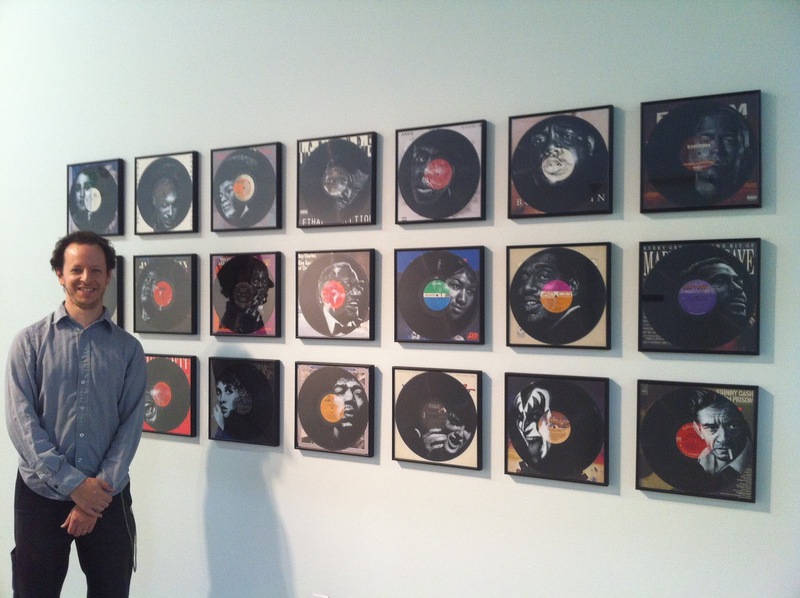 We had the chance to talk to Lee from his Chicago home. 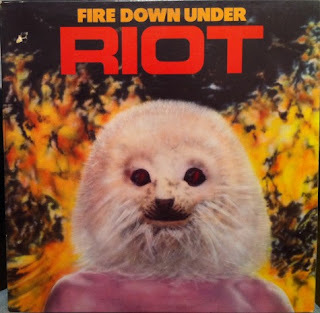 Even though it’s been years since Ransom Riggs posted about bad album art, those “what were they thinking?” covers have stuck with me all this time. 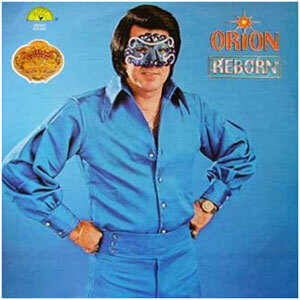 After I wiped away the initial tears of laughter, it occurred to me that bargain bin recording artists are people, too. In the interest of balanced reporting, I hereby submit to you the very human stories behind some of those infamous photos. The German branch of Nuclear Blast Records is accepting pre-orders for a number of different formats of NIGHTWISH's upcoming album, "Imaginaerum", and the "Storytime" single. * "Imaginaerum" mailorder edition: limited and numbered to 1000 copies, the boxset includes the double digipak, the one-track-single "Rest Calm" in its demo version featuring Marco Hietala on vocals and the exclusive "Imaginaerum" mirror. * "Imaginaerum" two-CD digipack featuring instrumental version of the album as bonus CD. 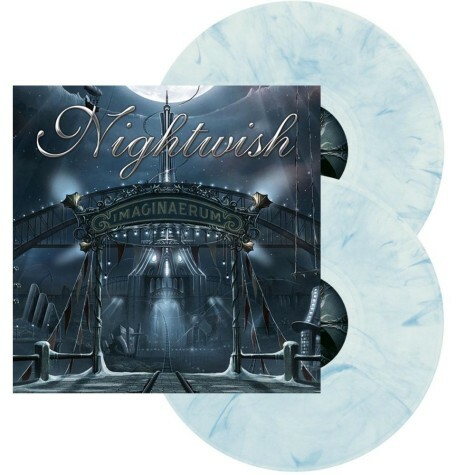 * "Imaginaerum" marbled vinyl: Strictly limited to 250 marbled 180g double gatefold LPs including a DIN A2 poster. * "Storytime" CD single featuring "Storytime" (radio edit), "Storytime" (album version), "Storytime" (instrumental version). 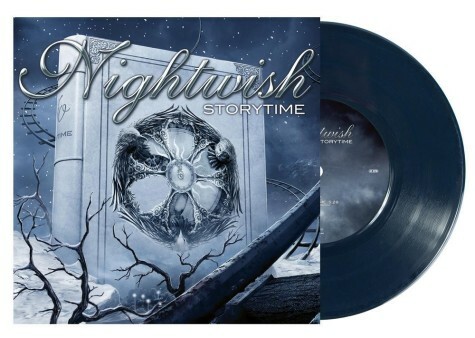 * "Storytime" single on clear, white and dark blue vinyl: Strictly limited to 250 lush 10-inch gatefold mini albums. Featuring "Storytime" (radio edit), "Storytime" (album version), "Storytime" (instrumental version). The Cranberries will return with a new LP called 'Roses,' their first studio album in over a decade, for Valentine's Day, 2012 via Cooking Vinyl via Downtown Records in the US on Feb 14. The songs on Roses come from a band with a renewed hunger and in every corner you'll find the extraordinary sound of Dolores O'Riordan's voice, the pivotal instrument which transformed the band from a group of young Irish hopefuls at the edge of the '80s into an MTV sensation and worldwide super group within just a few short years. With the October 11 release of metal band RIOT's classic 1981 album "Fire Down Under", Audio Fidelity launches its new Target Series imprint, designed to broaden the company's audience beyond its longstanding and loyal audiophile base. 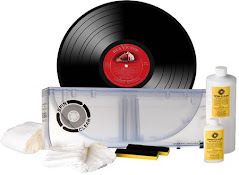 Audio Fidelity, via the affordably-priced Target Series, will be reissuing a number of classic albums in the coming months on both CD and vinyl formats, meticulously re-mastered by the company's acclaimed audio engineers, Steve Hoffman and Kevin Gray. NEW YORK, Oct. 11, 2011 /PRNewswire via COMTEX/ -- Grooveshark has inked licensing deals with worldwide distribution network DashGo and indie label NuGroove Records. Grooveshark is eager to work alongside DashGo and NuGroove to build greater exposure for their talent roster. DashGo represents 115 labels including Delicious Vinyl and Time Records; More than 4,500 bands like Coconut Records and Rock Mafia; and over 50,000 tracks come from DashGo. Known for their "edgy," soulful hits, NuGroove is recognized for their format bending "Down to the Bone," which has produced top jazz acts such as contemporary icons Michael Lington and Bob Baldwin. "We're excited to have inked a licensing deal with a distributor and label that provides as much value to its artists as DashGo and NuGroove. We look forward to working with them to build the fanbases of the independent artists they represent," says Jack DeYoung, SVP of Music Strategy at Grooveshark. "DashGo's happy to offer fans an additional outlet to discover music and excited that Grooveshark's made a commitment to compensating artists for their work," says Ben Patterson, President of DashGo, Inc.
"NuGroove has always been on the cutting edge of smooth jazz and urban adult music. We're thrilled to team up with Grooveshark, as we feel they are on the cutting edge of the digital revolution, which is extremely important to us as we're expanding our digital efforts. Grooveshark's astounding rate of growth assures me they are the future," says, David S. Chackler, President/CEO NuGroove Music LLC. These new licensing deals capitalize on Grooveshark's ability to produce measured results, and DashGo and NuGroove's strengths to champion their artists on emerging digital platforms. Visit Grooveshark.com to learn more. Since 2006, Grooveshark has grown into the largest globally available on demand music streaming service. With more than 35 million unique visitors monthly and a library of over 15 million songs, Grooveshark provides the ability for users to search and stream music, create and save playlists, as well as upload music to be hosted and shared across the cloud and other devices. Originally the home for jazz icon Michael Lington, NuGroove has remained synonymous with the term "smooth jazz on the edge." LOS ANGELES, Oct. 10, 2011 /PRNewswire via COMTEX/ -- Legendary singer-songwriters David Crosby and Graham Nash launched the new independent label Blue Castle Records in early 2011. Tomorrow, October 11, Blue Castle will release globally the HD DVD Crosby-Nash: In Concert, capturing a full concert filmed in high-definition at the Palace Theatre in Stamford, CT on May 22 during the U.S. portion of the duo's 2011 tour. Distribution for Blue Castle is through Alternative Distribution Alliance (ADA) in the U.S. and Canada, and Alternative Distribution Alliance Global worldwide. Crosby-Nash: In Concert features stirring versions of career-spanning classics including "Guinevere," "Marrakesh Express," "Deja vu," "Wooden Ships," "Our House," "They Want It All," "Just A Song Before I Go," "Almost Cut My Hair," and "Don't Dig Here." HDNet (hd.net) broadcast the concert live last spring, and will air highlights from the DVD on Sunday, October 16 (10PM/EDT, 7PM/PDT). Crosby-Nash: In Concert's bonus content features previously unreleased bonus videos of Crosby & Nash songs, including "Immigration Man," and an intense live version of the non-nuclear anthem "Don't Dig Here." The latter is newly produced with footage, graphics, and facts warning against nuclear proliferation. "Don't Dig Here" is also available as a free download on www.crosbynash.com . Currently, Crosby and Nash are on tour in Europe through early November. Highlights include shows at Bridgewater Hall in Manchester (9/30), Royal Albert Hall in London (10/8), the Olympia in Paris (10/14), Admiralspalast in Berlin (10/20), and Teatro Sistina in Rome (11/2). Goldenplec Music News reviewed the Crosby/Nash tour's opening night in Europe at Vicar Street in Dublin on 9/27, calling it "a captivating and stunning show," and noting, "The great thing about this concert was that Crosby and Nash saved their best for last, blowing everybody in the audience away with the closing four songs. No one in the audience was sitting down by the end of this gig, people were getting lost in the amazing occasion." While Crosby and Nash's storied vocal harmonies are the tour's centerpiece, they are accompanied on the road by an ace backing band featuring James Raymond (keyboards), Shayne Fontaine (guitar), Kevin McCormick (bass), and Steve DiStanislao (drums). The shows mix full band performances with more intimate ones spotlighting just Crosby and Nash. To coincide with the European dates, Blue Castle released digital and vinyl versions of the historic live album Another Stoney Evening in Europe (it was the label's inaugural U.S. release in March 2011). It features an acoustic show recorded on October 10, 1971 at the Dorothy Chandler Pavilion in Los Angeles--one of Crosby and Nash's earliest shows as a duo. David Crosby and Graham Nash have each been inducted into the Rock and Roll Hall of Fame twice--once with Crosby, Stills & Nash, and a second time with The Byrds and the Hollies, respectively. They have also been inducted into the Songwriters Hall of Fame. In addition to Another Stoney Evening, their recorded repertoire as a duo includes Crosby & Nash (1972), Wind On The Water (1975), Whistling Down The Wire (1976), Crosby-Nash (2004), and Highlights (2006). In 1955, Elvis Presley, Carl Perkins and Johnny Cash kick off an eleven date tour of the Southern US states in Abilene, Texas. In 1960, Aretha Franklin appeared at the Village Vanguard club in New York, marking the first non-Gospel performance of her career. In 1965, Gerry Marsden of Gerry And The Pacemakers marries the secretary of his fan club, Pauline Behan. When Jerry first asked her for a date, she was George Harrison's girlfriend, but George was away in Hamburg and so she accepted. After one particular falling out, Gerry wrote "Don't Let The Sun Catch You Crying" for Pauline, which touched her so much, she quickly patched things up. "Roll Over Beethoven" was released by the Beatles in 1965. In 1969, Grand Funk Railroad's debut LP, 'On Time' entered the Billboard Hot 200 album chart at #65. Although music critics bashed them, Grand Funk will become one of the best selling acts in rock and roll history. In 1975, Janis Ian performed her hit song "At Seventeen" on the very first broadcast of NBC-TV's Saturday Night Live. In 1991, Apple Computer settled a lawsuit launched by The Beatles' record company, Apple Corporation, over name and logo rights. The computer company reportedly paid about $29 million to settle the suit. In 1997, Elton John went to #1 on the US singles chart with “Candle in the Wind 97” – a re-write of his 1974 hit about Marilyn Monroe. This version was raising funds for the Diana, Princess of Wales charity, following her death in Paris. It went on to become the biggest-selling single in the world ever, replacing Bing Crosby's "White Christmas" for that honor. Also in 1997, a tribute to Muddy Waters at the Kennedy Center in Washington included performances from Bo Diddley, Greg Allman, Buddy Guy, John Hiatt and Keb' Mo'. In 2003, the studio session for Elvis Presley's debut single "That's All Right" was voted the most pivotal moment in Rock history by Mojo Magazine readers. Bob Dylan's switch from acoustic to electric guitars in 1965 came second.